SalesVu POS system: Learn how Recurring Billing and CRM work for Aurora Medical Weight Loss! Chanel Gonzalez is manager of Aurora Medical Weight Loss, a facility that handles prescription medication to help people lose weight. They assist hundreds of people throughout their weight loss journey and offer several services for them to make it easier, these services are: Phentermine program, HCG weight loss, Lipotropic injections, Optifast diet, Testosterone therapy and Women’s hormone therapy. Chanel was very happy to share with us her experience with SalesVu and how the modules she’s using are helping her managing this center.The SalesVu features that she uses are Recurring Billing, CRM and POS. Giving her total control of the patients that they have. They have a lot of patients under contracts, and the fact that they can pull out payments on a monthly basis is really helpful for them to organize and manage each agreement. With the recurring billing feature, she is able to add as many services and products that she wants to the order, payments are very customizable, they can be made on a daily, weekly, monthly or yearly basis, or they can even be manually edited and executed. Along with this feature comes the CRM. This module works great for adding patients and keep track of their information, SalesVu can also keep track of medical history, with the help of custom fields this can be more tailored to every business. The newest feature included in this module is the ability to upload documents and pictures for customer’s profiles. 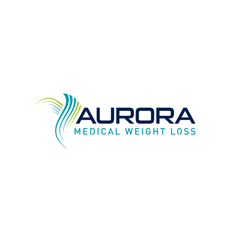 Every patient has a life changing experience at Aurora Medical Weight Loss and it is really important to have a reliable POS software that can help with it. In this weight loss journey, you are not alone, for more information about their services visit their website here. Don’t forget to check them on social media below! Posted in Beauty and Wellness, Professional Services	| Tagged CRM, Mobile POS, Recurring Billing	| Comments Off on SalesVu POS system: Learn how Recurring Billing and CRM work for Aurora Medical Weight Loss!